​Cassie has had a variety of jobs over the years within health and social care and catering. Cassie gained a BA Hon in social work studies. Along with her qualifications, Cassie also has years of life skills which enable her to be able help people who maybe having difficulties in many areas of their lives from health and social care, nutrition and also money management and debt. Being given this opportunity to work alongside Karen, has given me a great buzz and I look forward to learning more about radio. 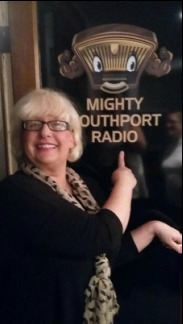 I am also grateful to Mighty Southport Radio for the opportunity.